Dean is an excellent teacher for the student who wants to improve rapidly. As a beginner, Dean set me realistic goals and always gave 100%. He opened my ears to a whole new world of music, and inspired me to become a professional musician and teacher. If you are lucky enough to live locally to Dean, you will not find a better teacher. Dean was my first teacher, and a great inspiration. Dean taught me from being a complete beginner at age 12 to Grade VIII distinction (saxophone) and Grade VI distinction (clarinet) at age 16, and I was playing professional gigs and recording at 18. I am now studying Jazz Saxophone at a leading London conservatoire. He always pushed me to be the best that I can be, and is still there for me as a mentor and friend. Our daughter’s progress had really slowed, and felt it was time for a new teacher but couldn’t find one in our area. The Skype lessons work very well for us. Our daughter is making faster progress than ever now, and working towards Grades VI-VIII. She gets on very well with Dean- he works her very hard but she always comes out smiling! 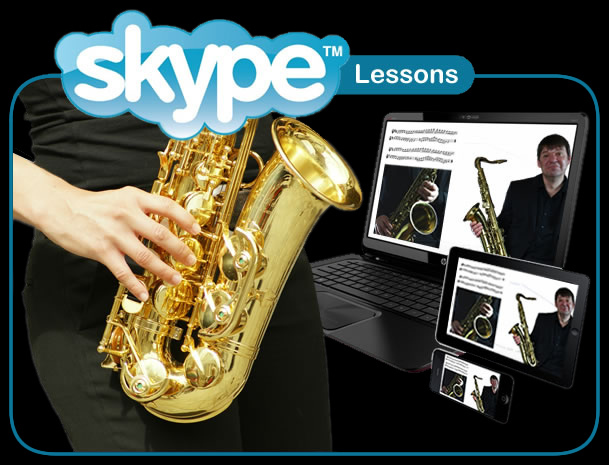 After a great one-off lesson with Dean when I was in the area, he suggested follow-up lessons on Skype (as I live 200 miles away!). I was sceptical at first, but it worked really well. I’m a post-graduate saxophonist, but have always struggled to come to terms with jazz improvisation, but Dean made it all so clear. Highly recommended! Dean Masser offers individual tuition on saxophone and clarinet, and jazz improvisation on all instruments both at his home, and via Skype. Dean has over 20 years of teaching experience, having taught all ages (8-80!) and all levels, from beginner to postgraduate. Dean is proud of the fact that many of his students have gone on to study music full time, and to pursue a successful career in music. In addition to his private students, Dean has previously taught at schools and colleges across the UK. He has also conducted his own highly-successful workshops, and has been used as an educator for many leading UK youth jazz orchestras. In 2013 he was appointed co-director of the newly-formed Greater Manchester Youth Jazz Orchestra.